I was in need of cake therapy and all my friends recommended True Confections, and boy, did that hit the spot. The cake shop was a long walk down Robson and into Denman but the place was clean, spacious, comfortable for a catch up date with my friends next to the window with sunshine pouring it. I could just sit back, eat my cake, and not feel rushed at all – the life. 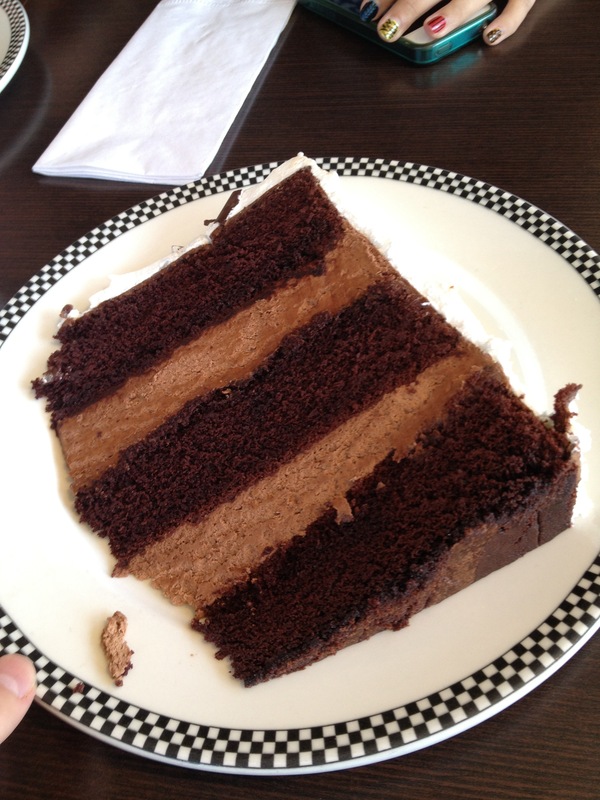 I had the Devil’s Food (CAD8.75) and also the cure for any girl who is craving for chocolate. The Devil’s Food is dangerous chocolate cake, with fluffy white marshmallow frosting on the side and chocolate cream in between the spongy cake. The height and width of the cake was monstrous and I was completely out of it and suffering from food coma by the time I was finished. The cake was so heavenly and a must get for anyone who loves chocolate and marshmallow, or a s’mores in a cake form.